Domain names are cheap but if you are not careful when buying one, you may end up paying more than you expect. On the World Wild Web (sorry, World Wide Web), there are genuine and dubious people but the line that divides the two is very thin. As a result of this, you should take some necessary precautions when you are purchasing your domain so that you are not short-changed by internet marauders. There are some dubious registrars that may want to trick you into parting with an outrageous amount for your purchase. What they do is that if you search for a name on their platform and you did not pay instantly, they would quickly register it and try to sell it to you at a higher price if you later come back for it. Consequently, it is your duty to ensure that you look for a reliable registrar, especially one with a track record. In addition, you should endeavor to pay up instantly for the domain after your search shows that it is available and be on a safer side. 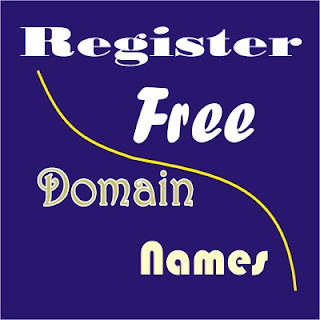 All ICANN accredited registrars run the same system for domain search, hence, if a name is not available, it is most probably not available on the other. Hence, you should move from one registrar to another trying to check the availability of a name - you may end up in the hands of unreliable registrars. You should only check availability from the registrar you want to buy from and pay up immediately. A name may be available now, but not a few seconds later. You should not check and suppose that the name is going to be available at some future date while you think on what to do with it. If you don't have a plan for it, do not bother to check its availability . On the other hand, if you really like the name, you can buy it now and plan later - do not check it now and buy later. One domain can never be enough for a website. If your site becomes popular and successful, some people may cyber-squat on it. What this mean is that they will register the same name you registered but in different extensions. For example, if your site's URL is 'cool.com', they may register 'cool.biz', 'cool.net', 'cool.org', etc, and make money through your popularity. But if you register your name in all these extensions yourself, cyber-squatters have no other choice than to watch you succeed. It is not ideal for you to ask for opinions about whether a certain domain name is good for the purpose you intend using it for on forum or social media sites. The risk involved in doing such a thing is that someone else may register the name before you do so. You can register as many names as possible and ask your friends or relations on forum and social media sites to make their choices. If you like, you may not renew the ones that are dropped or point them to your main domain. If it is compulsory that you must ask someone before you register a name, make sure you ask someone you can trust.